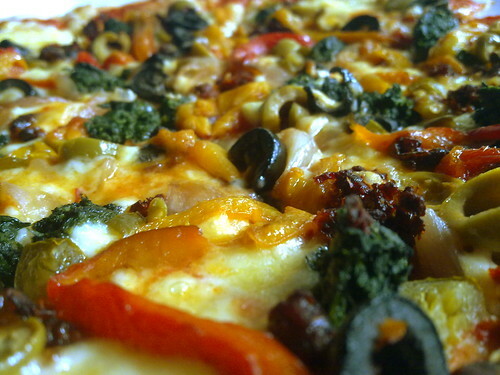 What to have on a pizza, originally uploaded by amulya. Olives, mushrooms, tomatoes, spinach and cheese... among other things. Sadly, I did not taste it. But I am grinning about the photo - cuz it was taken on my trusty phone. Reminds me all over again why I fell in love with this in the first place.